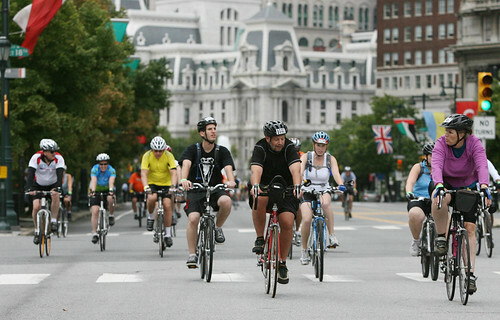 Bike Philly is a morning of relaxed biking on certified car-free Philadelphia streets. Bring friends to celebrate with thousands of bicyclists of all ages. Enjoy the historic beauty of Philadelphia on two wheels and support the Bicycle Coalition's efforts to make the Delaware Valley more livable and sustainable. If you haven't registered yet, you can avoid the extra cost of late registration by signing up by Sunday! More people are signing up for Bike Philly than ever before -- we broke a record with almost a thousand early bird registrations!